The Note is the productive workspace where you can organise ideas and creative resources. 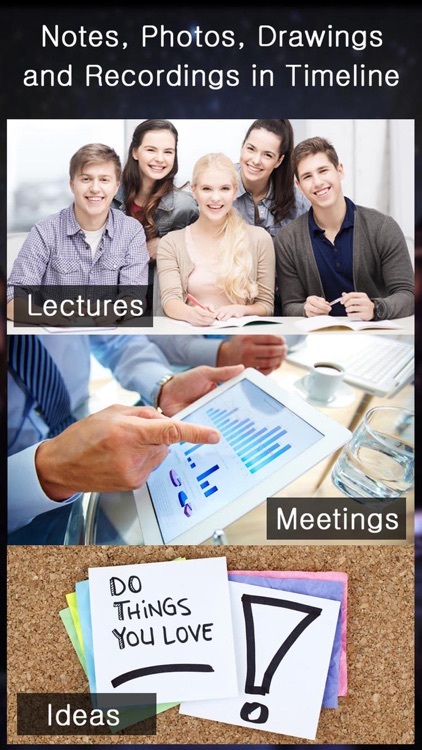 It will help you take a wide range of types of notes; daily quick notes, lecture notes, office notes, etc. - Take notes in efficient ways as well as good-looking layouts. 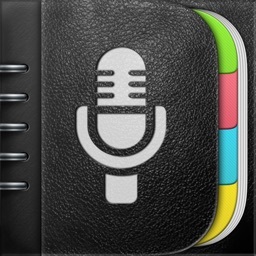 - Voice Recording synced with texts, photos, and drawings. - Keep notes organised and arranged. 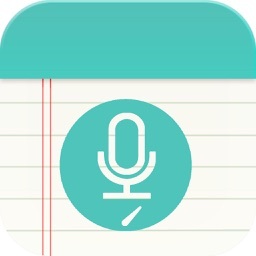 - Share notes with people. - Keep private notes protected from other people. 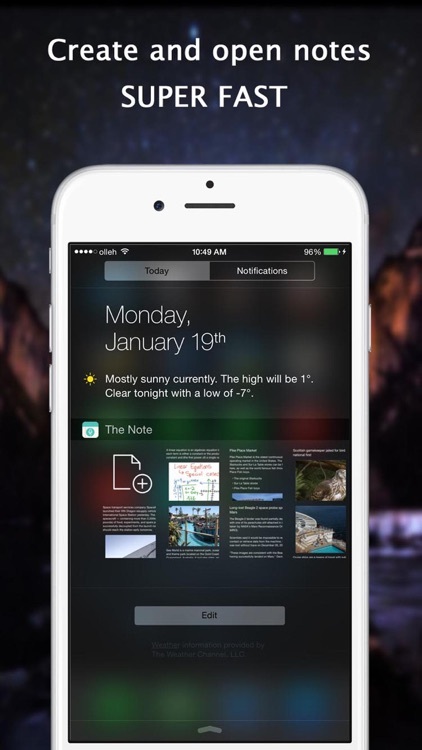 - Back up and restore notes for continuous use. - Create and open notes through Today Widget for fast access. 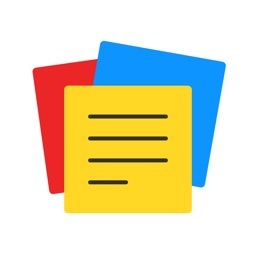 - Provide paragraphs and bullet lists as text-based inputs. - Take unlimited number of images from Photo Album, Camera, Maps, and Pasteboard. 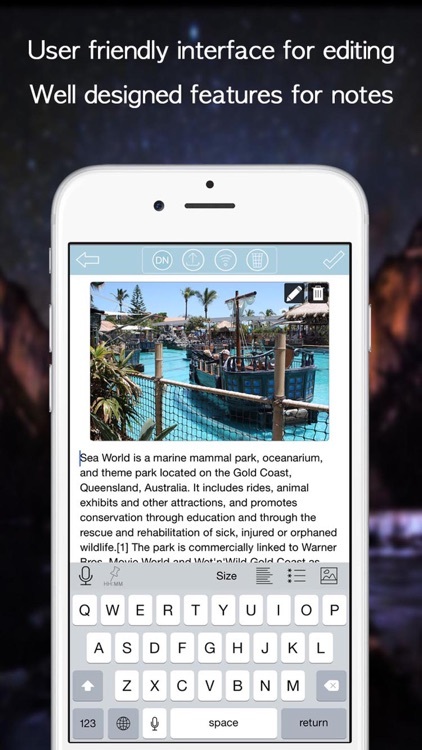 - Draw ideas as handwritten notes. - Mark and highlight something on images. - Synced with texts, photos, and drawings. - Pause and resume for multiple recordings. 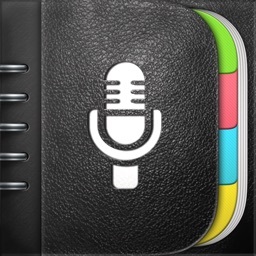 - Bookmarks in a recording. - 1x, 1.5x, 2x playback speed rate. 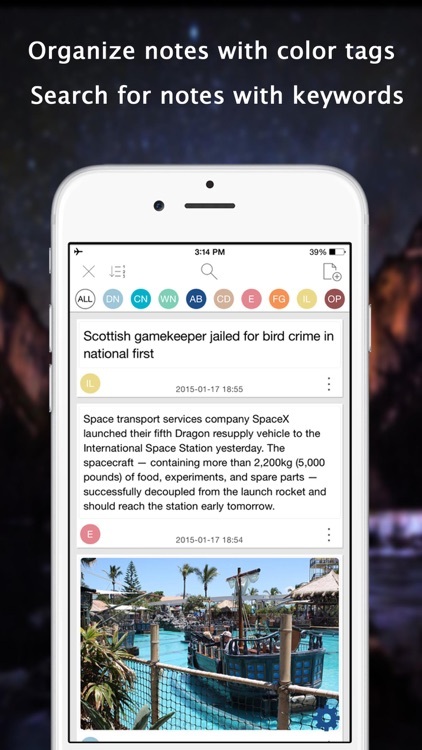 - Categorise notes with color tags. - Name the tags with you own label. 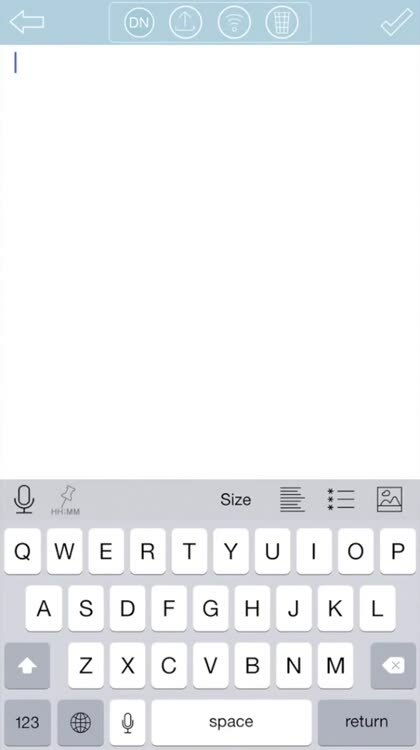 - Search for notes with keywords. - Sort notes by modified dates as well as created dates. - Support three formats for sharing. - Export notes to other apps such as Facebook, Twitter, Dropbox, and so on. - Exchange notes between all iPhone and iPad families preserving good-looking layouts. 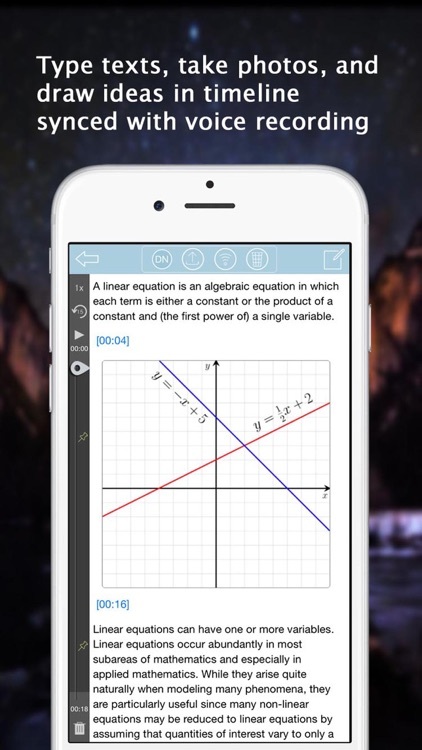 - Ensure you complete control having notes stay within the app only. - Hide notes with a password. 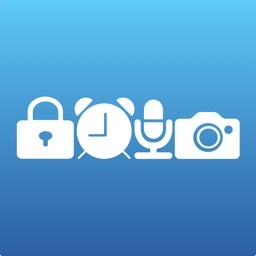 - Automatically synchronise hidden statuses between the app and Today Widget. - Back up notes in a single file. - Export the backup file to other apps such as Dropbox. - Download the backup file to a PC using WiFi local networks. - Restore notes importing the backup file from another apps or a PC.